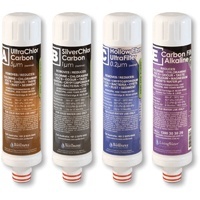 This cartridge pack is designed to remove fluoride while offering outstanding chloramine and chemical removal. The Fluoride Protector Plus AquaMetixå¨ is the result of years of research into new types of carbon for fluoride removal without the negatives associated with Activated Alumina or the expense of Reverse Osmosis systems. 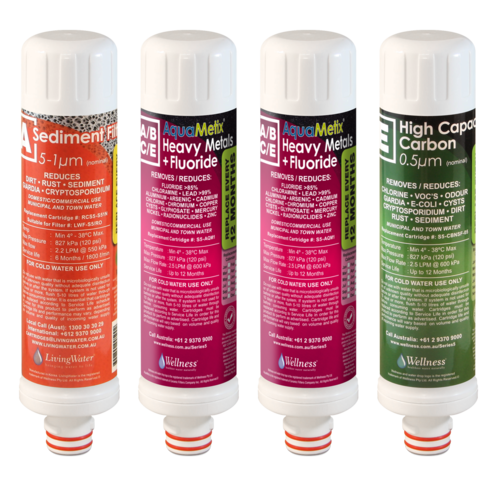 AquaMetixå¨ is a revolutionary new type of carbon that can effectively reduce not just sodium fluoride but also hydrofluorosilicic acid (the latest form of fluoride not covered by other fluoride filter brands) and sodium hexa fluorosilicate. In addition to pesticides, herbicides, chloramines (ammonia with chlorine), pathogenic bacteria and cysts the Fluoride Protector Plus will even reduce or remove heavy metals, arsenic, fluoride, bromine, and others that can sometimes be found in drinking water. It also filters radiologicals including Radon 222, Radium, Strontium, Uranium and Vanadium. The 2.75" diameter gives you up to 54% more surface area for greater filtration performance compared to other conventional 2" x 9" filter elements. 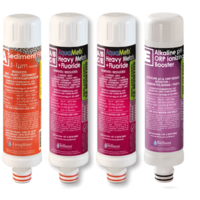 The Fluoride Protector Plus AquaMetixå¨ elements are tested to meet NSF/ANSI standards 42, 53 and 61. 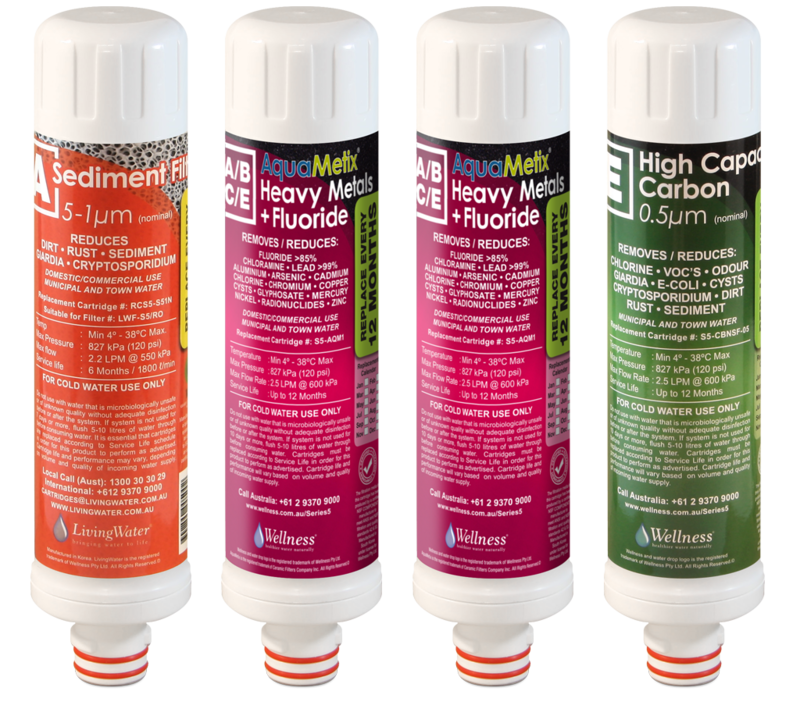 AquaMetixå¨ carbon media offers a viable alternative to Reverse Osmosis systems with outstanding chloramine, chlorine and volatile organics removal plus fluoride reduction up to an incredible 95%. In addition heavy metals including Lead, Aluminium, Arsenic, Cadmium, Copper, Mercury, Nickel, Zinc and even Radionucleides are reduced to near non-detectable levels. 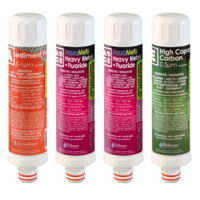 NOTE: This pack includes two (2) AquaMetixå¨ cartridges for the highest possible level of fluoride reduction available in a carbon based cartridge system. Fluoride Protector Plus AquaMetixÌ´å¬ filter cartridges are designed to remove pathogenic bacteria and cysts, in addition to having exceptional chemical and contaminant removal properties. The majority of pathogenic (disease causing) bacteria and cysts are larger than one micron.